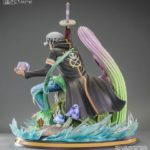 Earn 737 Points with this purchase! 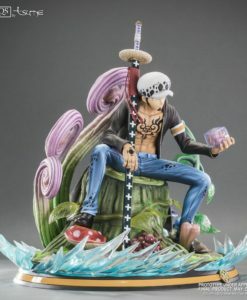 The captain of the crew of the Heart is represented here during his passage on the island of Green Bit, while he awaits the arrival of Donflamingo, the heart of Caesar Clown in his hand. 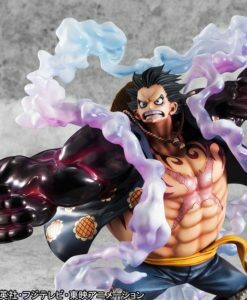 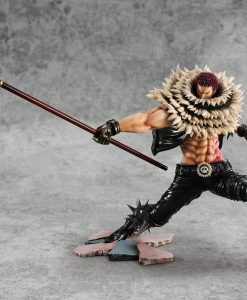 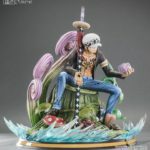 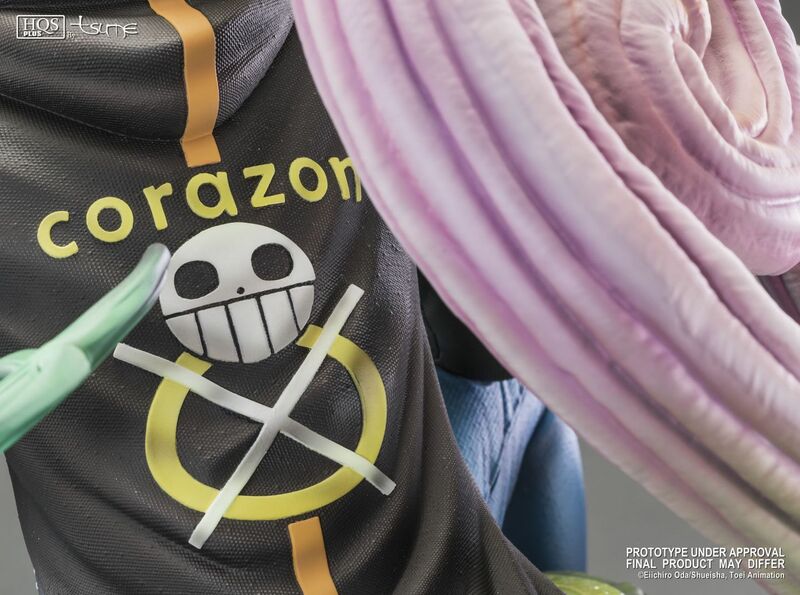 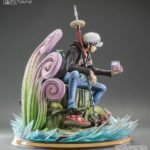 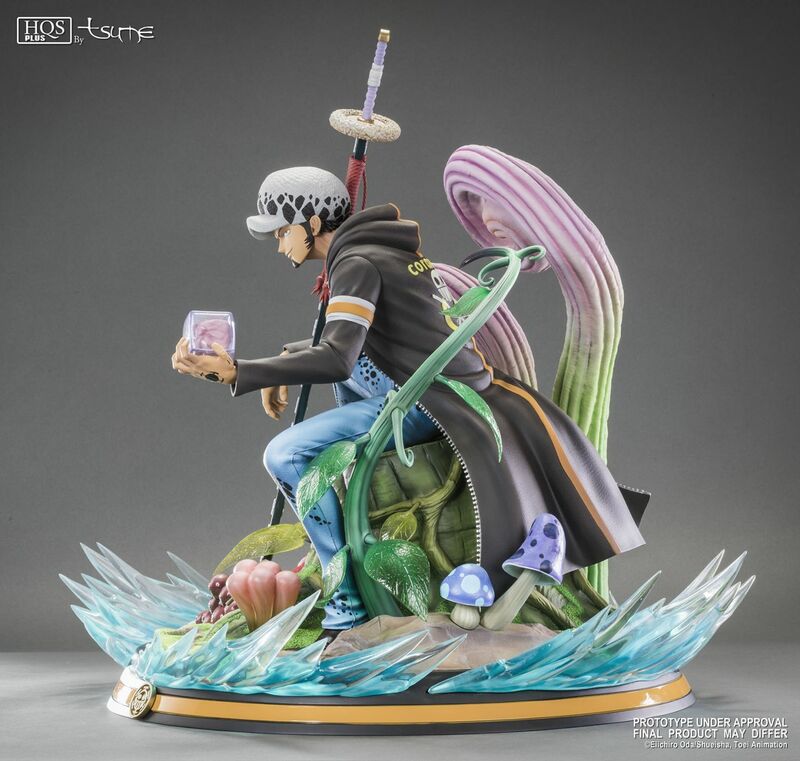 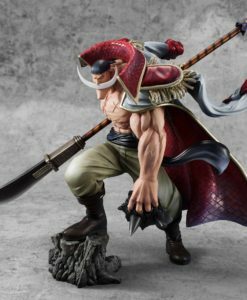 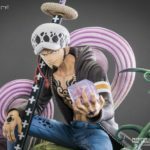 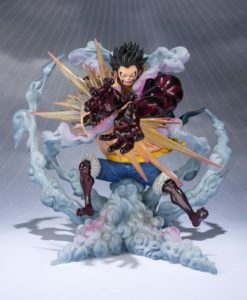 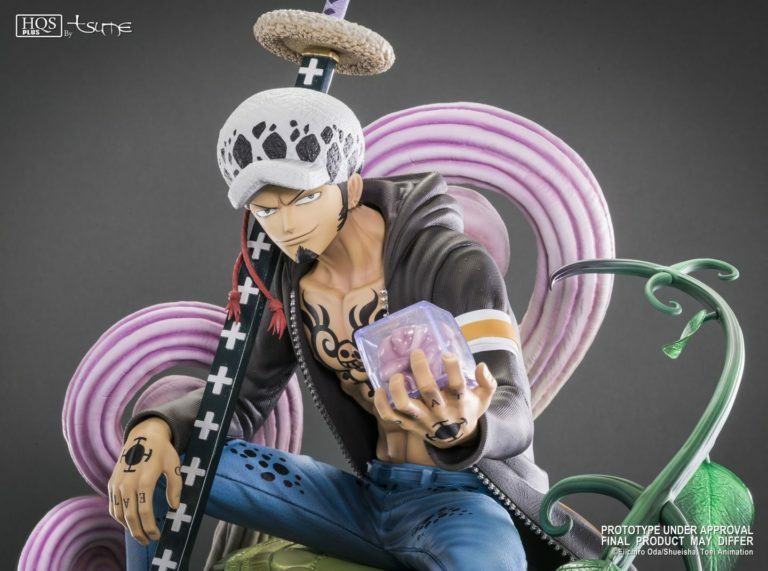 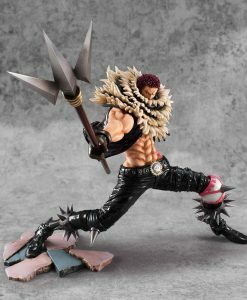 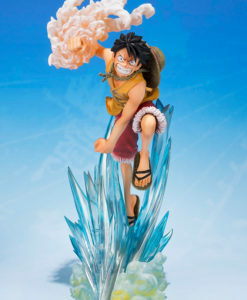 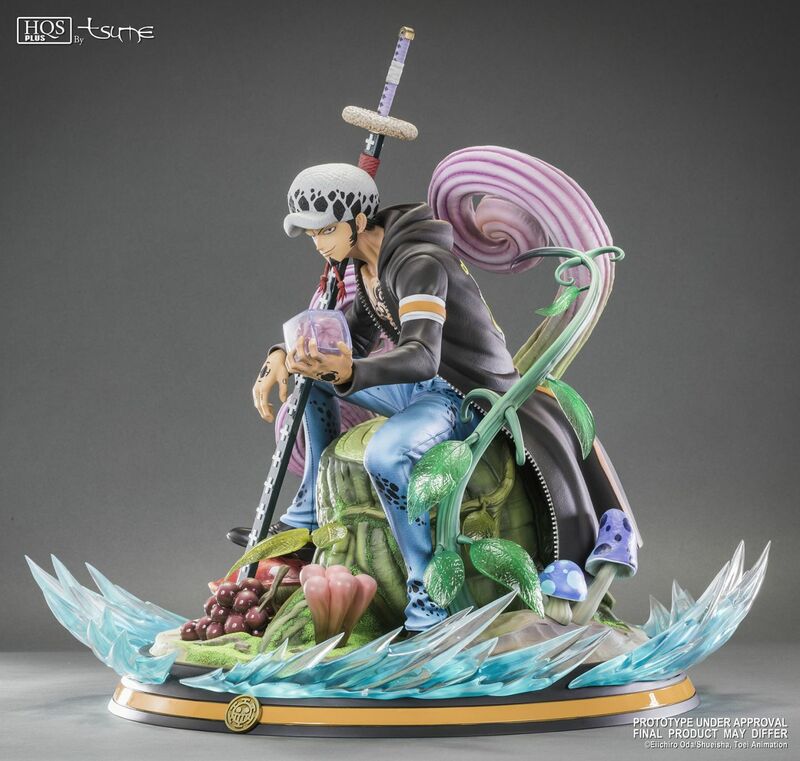 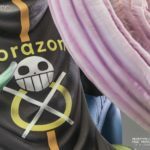 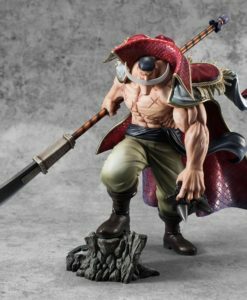 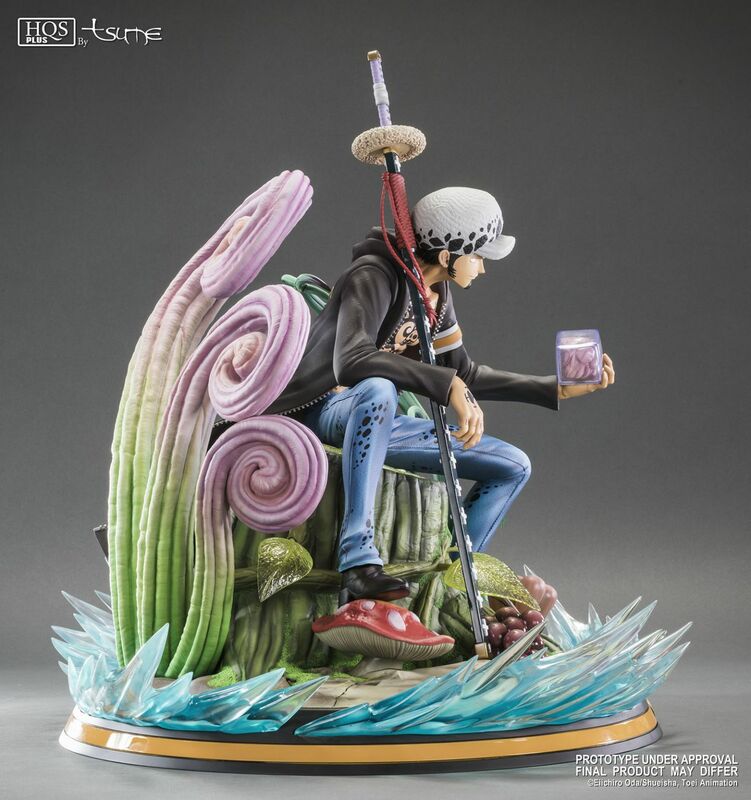 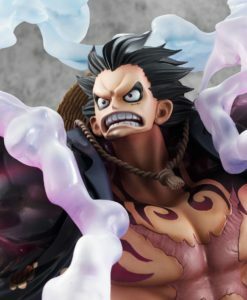 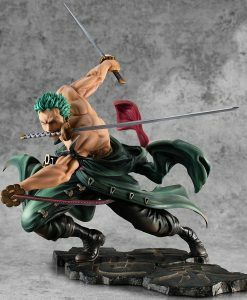 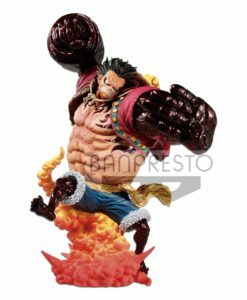 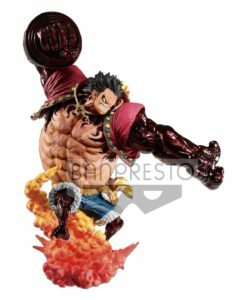 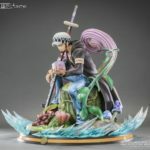 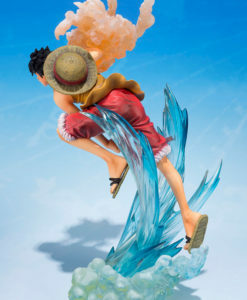 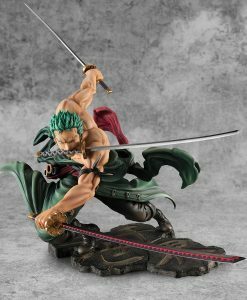 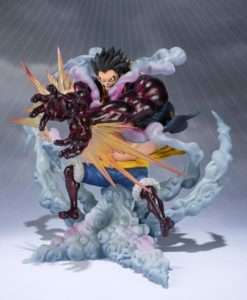 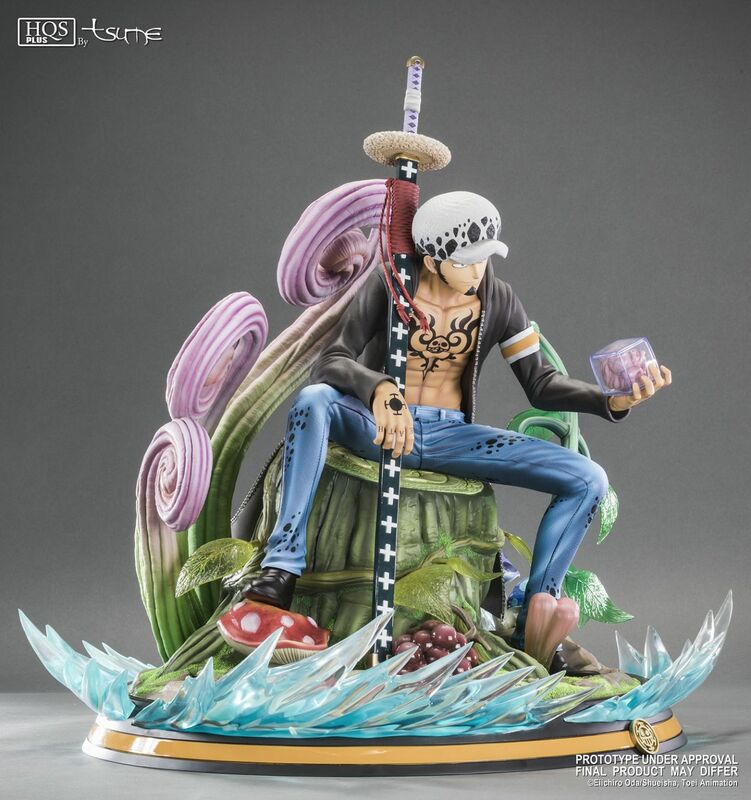 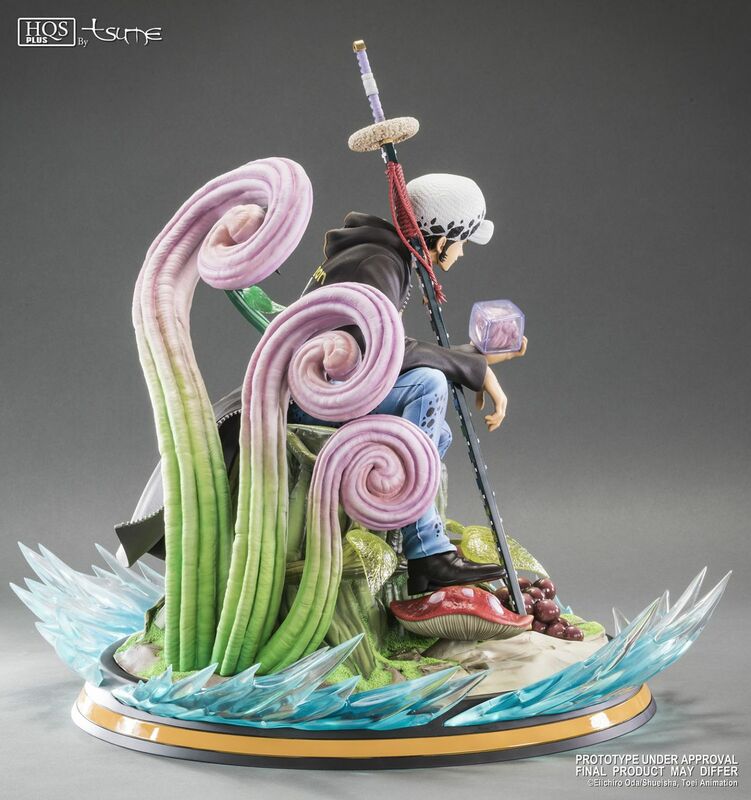 Tafalgar Law, whose real name is Trafalgar D. Water Law, is the first character of One Piece to join the HQS + by TSUME range! 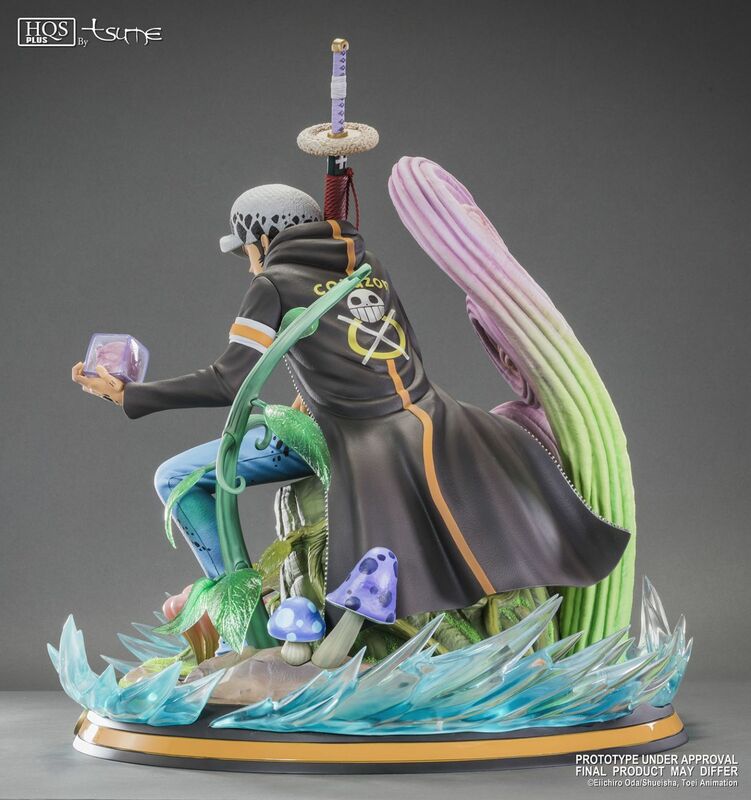 Also called the “Surgeon of Death”, he ate the Fruit of the Scalpel, which allows him to create a translucent sphere in which he can control the position of any objects and living things. 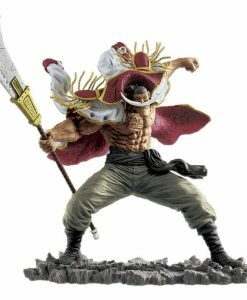 He will be given the title of Grand Corsaire by the Marine, but will be deposed after he allied with Luffy. 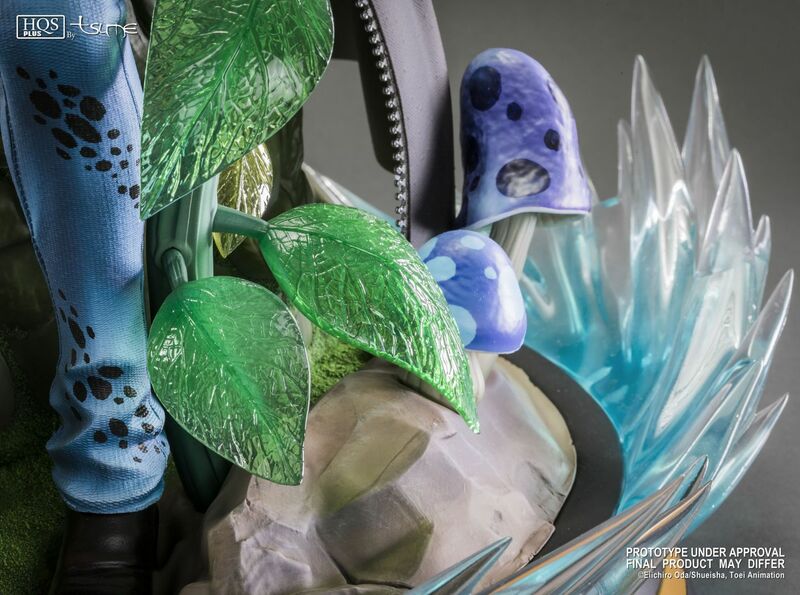 Particular attention was paid to the realization of Green Bit’s vegetation, like the bright colors and the huge plants. 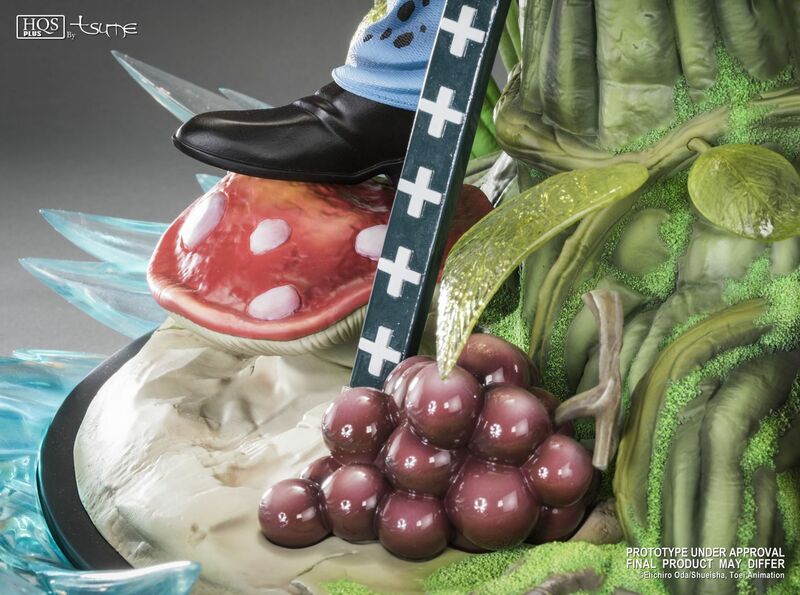 Sitting in the middle of this luxuriant vegetation, Law waits, a sly smile on the lips. 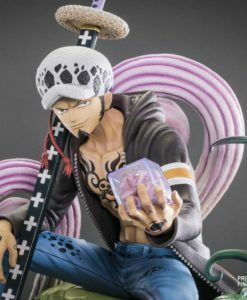 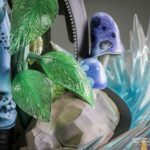 The 1/4 scale allowed us to accentuate the details, be it the texture of the hat, the transparent leaves or the fineness of his tattoos. 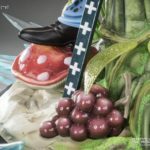 The final touch to this composition is the sphere available as an option to visualize the space created by its fruit of the demon. 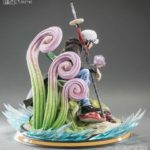 Scale 1/4 Total run of 1800 pieces.